Every month I go to the same four Junior High Schools in a very predictable pattern. When they have no work for me, then I am shuffled off to an Elementary school. Starting from last week I have begun my final cycle at this board of education. I also know my final day in Japan is the 31st of March, which probably means I will miss the cherry blossoms. I get to enjoy the worst part of hayfever season though… Joy. The first time I went through a final countdown, I was on a very different contract. I would go to each school from 8am to 5pm (even though I was really done at noon). After lunch I usually dicked around with the different clubs, and I even had a cleaning assignment. I remember on my last day, I was goofing off with the drama club and there was an announcement for the kids that if anyone saw me, to ask me to come to the teacher’s room. When I arrived there were 10 students crying their eyes out. At first I thought there must have been a fight, but they were crying because they were going to miss me. I won’t lie, I have never been more touched in my life. With my contract now, even though I have been at the schools longer, it is split time, so the emotional attachment isn’t there. Also, I am not allowed to clean with the kids (I have been told that they like goofing off with me too much and they don’t do their tasks) and I leave when I am finished. So my last day at Nakamaru-chu was an unemotional event. The kids were sad that I was leaving, but it was more of a “Too bad you’re leaving. We will miss you. I wonder who the next guy will be?” type reaction. That is fine by me because I hate being in the spotlight, and schools are known for putting on ceremonies for leaving ALTs from time to time. This way, I got to comfortably say goodbye. I am sure I will be forgotten in a month or two and will just be remembered by my beard and nationality. Last morning at Nakamaruchu with the soft tennis club practicing in the foreground. 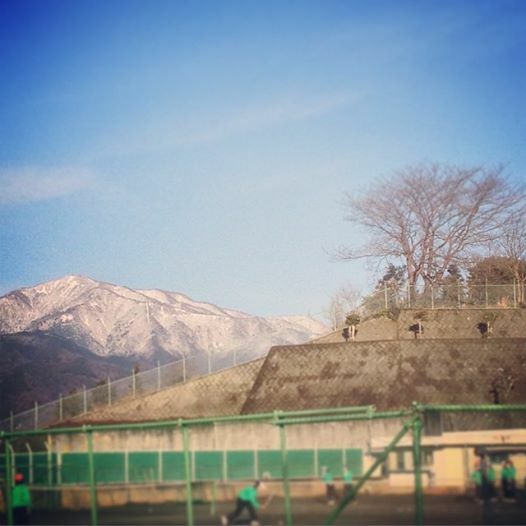 Posted in Teaching in Japan, This American Life: JapanTagged AET, Alt, Japan, last days of school, leaving japanBookmark the permalink.